The last bit of sunlight hits the clouds on a beautiful late fall evening in Downtown Omaha. 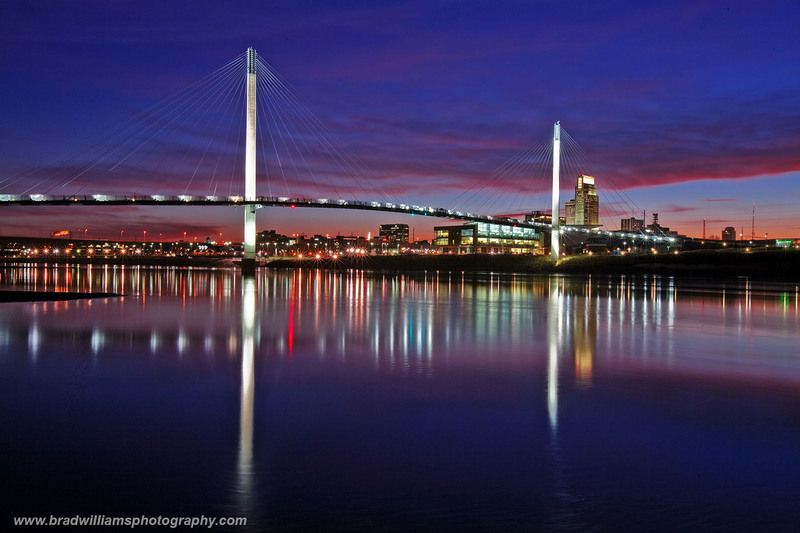 The lights of the Bob Kerry Pedestrian Bridge and Omaha Skyline are reflecting in the Missouri River. Photo © copyright by Brad Williams.